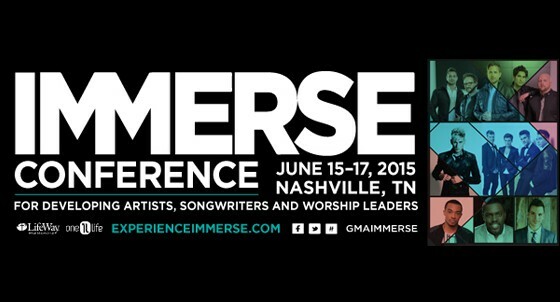 IMMERSE is Confirmed for June 15-17 in Nashville, TN. Nashville, TN (May 22, 2015) – The Gospel Music Association announces that its seventh annual conference for developing artists, songwriters and worship leaders, IMMERSE, is nearly sold out, with only thirty registrations remaining. Held at the LifeWay Christian Resources corporate headquarters in downtown Nashville, TN, IMMERSE is the only event of its kind where attendees receive hands-on training directed by music industry leaders, as well as intimate concert experiences with some of Christian music’s leading artists and songwriters. An impressive list of talent has already confirmed to participate, including Sanctus Real, Colton Dixon, Brandon Heath, All Sons & Daughters, Danny Gokey, Derek Minor, Anthem Lights, David Garcia, Jennie Lee Riddle, Sue C Smith, Joel Lindsey, Benji Cowart, Kirk Whalum, William McDowell and Jonathan McReynolds. Top executives and influencers from the industry are also participating as speakers, mentors, panelists and judges, including representatives from leading organizations such as TuneCore, Word Entertainment, Provident Music Group, Central South Distribution, LifeWay Worship and Integrity Music. Special guest Stephen Kendrick will give the keynote address on Wednesday morning. Best known as producer of films such as Courageous, Fireproof and the upcoming War Room, Kendrick will focus on discussing the creative process and encouraging attendees to following their God-given dreams. Programming for the 2015 event will include classes and seminars in the music business, worship leading, songwriting and artist development taught by industry leaders. The successful reVIEWyou program that combines mentoring with a songwriting and performance competition will also return to help shape and scout emerging talent. The full conference schedule can be found HERE. 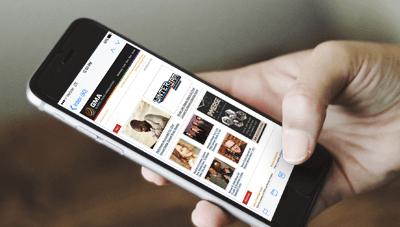 Staying true to the Gospel Music Association’s mission to expose, promote and celebrate the Gospel through music, IMMERSE seeks to inspire creativity, foster community and advance education, while keeping its focus solely on Christ. IMMERSE is honored to partner with event host LifeWay Christian Resources for the third year. Located within walking distance from all the amenities downtown Nashville offers, the incredible 21-acre LifeWay facility allows IMMERSE to be held under one roof, creating a rare atmosphere of convenience for a conference of this size. By utilizing the building’s performance areas, classrooms, multi-purpose rooms, cafeteria and open spaces, attendees can move easily from one session to the next in safety and comfort. IMMERSE 2015 will be held June 15-17 at the LifeWay Christian Resources Building, 1 LifeWay Plaza, Nashville, TN 37234. A limited number of registrations are still available at http://www.ExperienceIMMERSE.com.